Home > Digital Camera Batteries > BP1900: 7.4v 2200mAh Li-ION battery for SAMSUNG NX1 digital cameras etc. BP1900: 7.4v 2200mAh Li-ION battery for SAMSUNG NX1 digital cameras etc. BP1900: 7.4volt 1860mAh Li-ION battery for SAMSUNG cameras such as: NX1, EV-NX1ZZZBMBUS, EV-NX1ZZZBQBUS, EV-NX1ZZZBZBUS, EV-NX1ZZZBMBUS, DSLR Cameras. Replaces original SAMSUNG ED-BP1900. 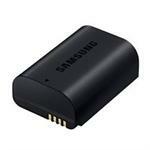 Recharges with OEM SAMSUNG smart charger. ED-BP1900: 7.4volt 1860mAh Li-ION battery for SAMSUNG cameras such as: NX1, EV-NX1ZZZBMBUS, EV-NX1ZZZBQBUS, EV-NX1ZZZBZBUS, EV-NX1ZZZBMBUS, DSLR Cameras.